Few cartridges are as historically significant as the 303 British. It has been used in virtually every armed conflict from the Second Boer War to the Mau Mau Uprising to Operation Enduring Freedom. Few rounds can be said to have been fired on every continent, but Sir Ernest Shackleton’s Antarctic expedition included what was likely a Lee-Enfield with its equipment. Whether someone might have used it to off a gentoo penguin is a matter of speculation. 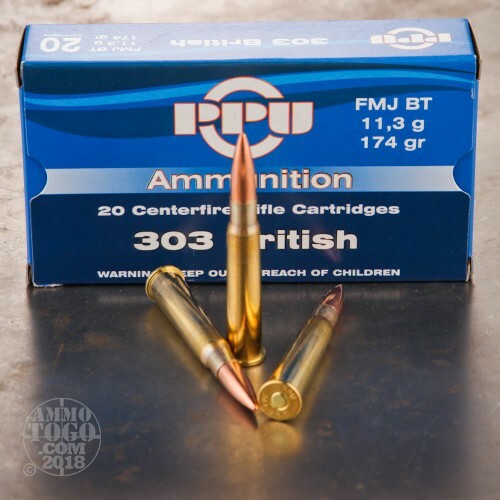 This cartridge is from Prvi Partizan, a Serbian manufacturer which specializes in creating unusual and out of date ammunition. It features a 174 grain full metal jacket projectile, the same bullet weight as that used for the classic Mark VII cartridge. 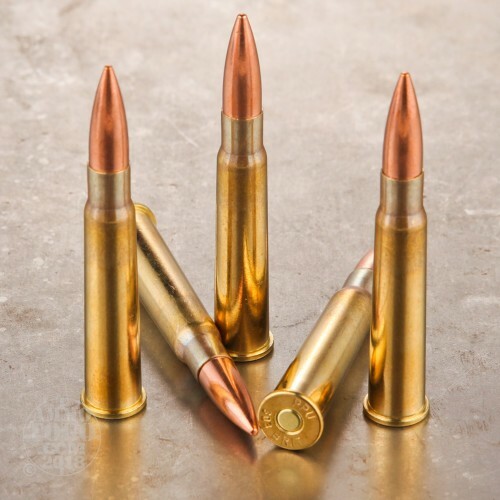 This round’s Boxer primer is non-corrosive and its propellant is clean burning in order to preserve your classic rifle’s internal workings, and its brass casing is high quality and ready for several passes through your reloading press. 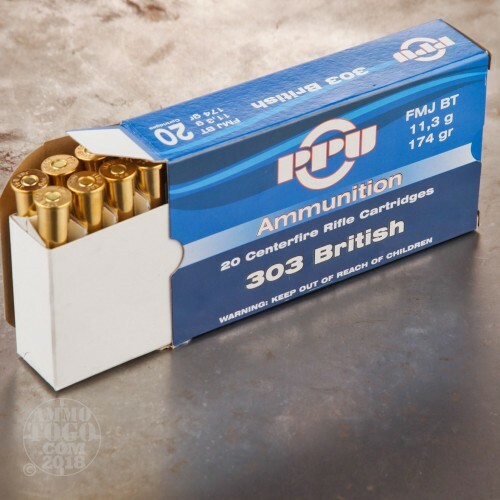 Great ammo for my Enfield, shoots great, good price compared to some of the other stuff out there and local dealers. 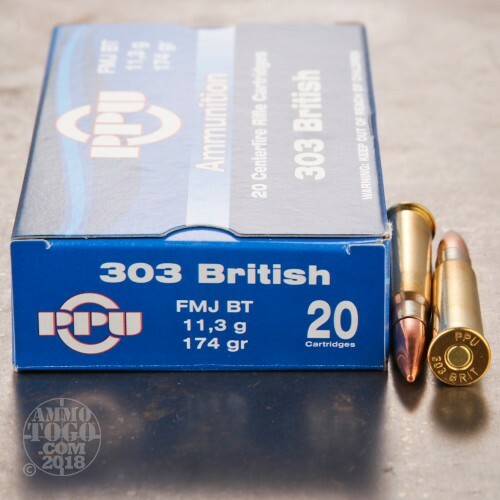 I found the Prvi Partizan 303 British Ammo around two years ago, I didn't expect much from such inexpensive ammo, but I found it to be very accurate, and very reasonably priced. I don't reload myself but everything I read on it is favorable.